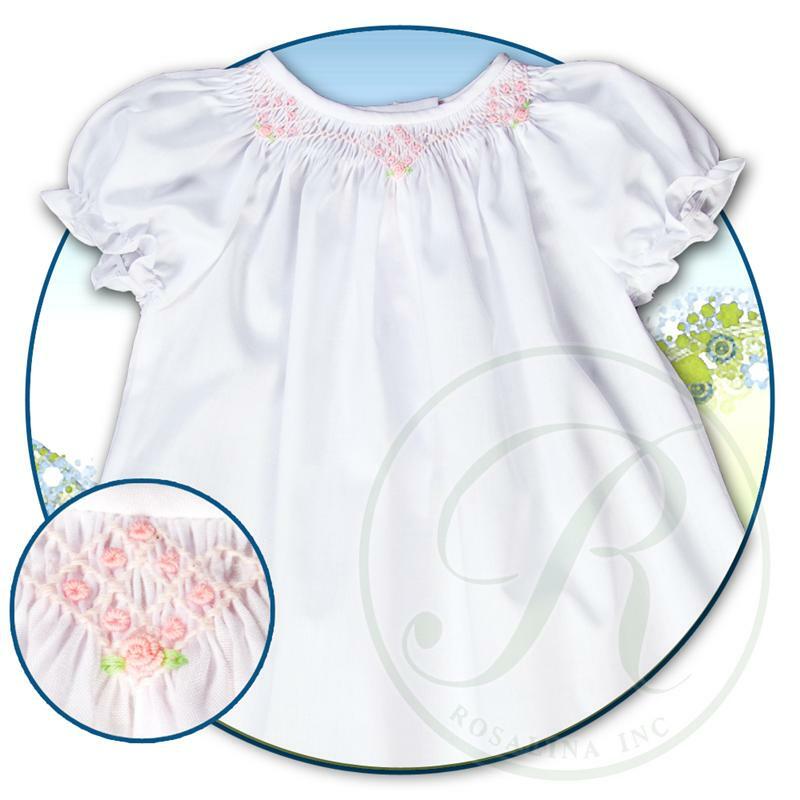 This precious little white cotton blend baby gown is made by Rosalina, a leading designer of classic children's clothing. 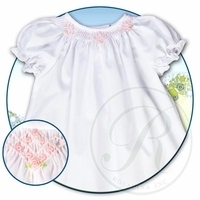 It features bishop smocking embroidered with tiny pink rosebuds, short puffed sleeves with elasticized ruffles, and a back buttoned closure. 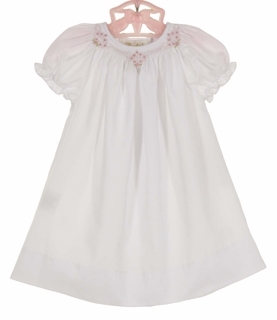 The perfect take home gown or portrait gown for your baby girl! 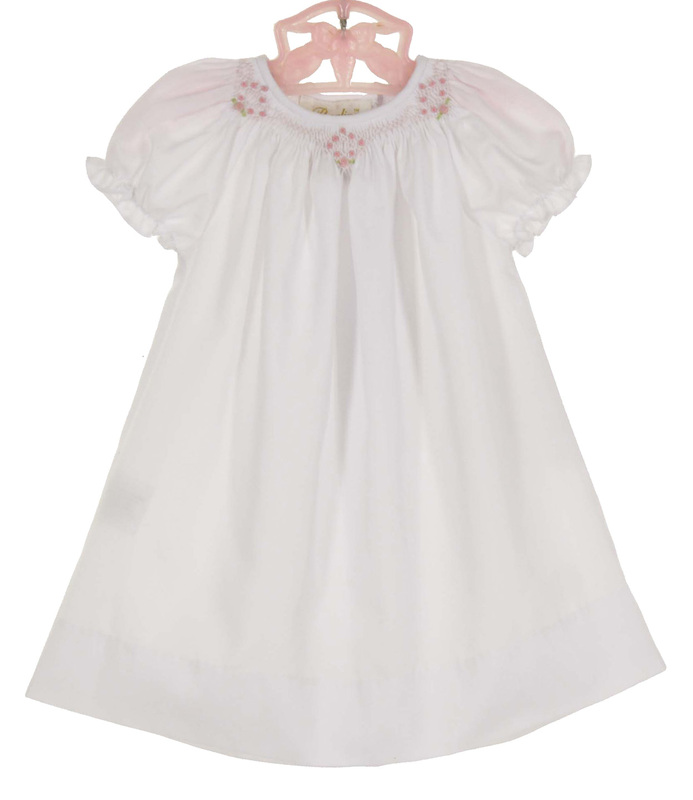 Size 3 months bishop shoulder width=5½"
Matching bubble and bonnet set are also available. See below.